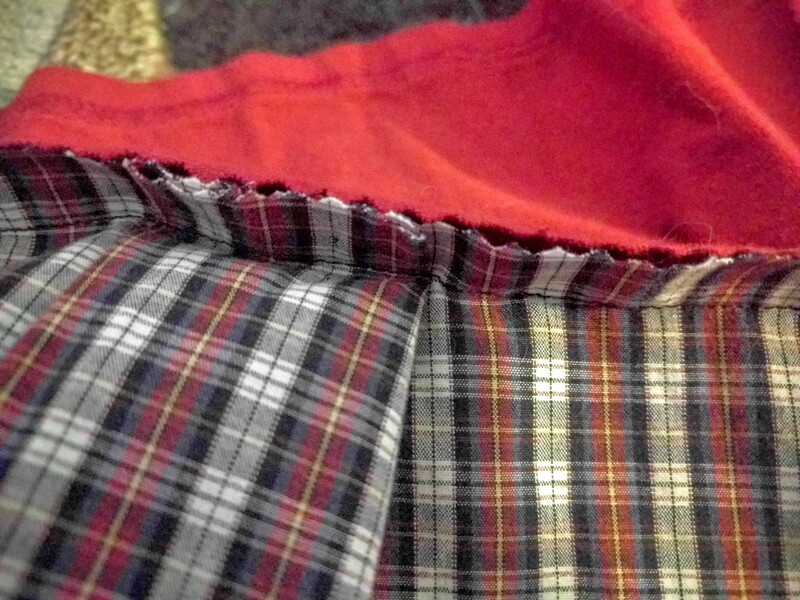 I pulled out a red long-sleeve shirt from my refashion bin. The shirt was boring and too form fitting for me. What my closet needs is more cute and casual tops for the spring and summer. 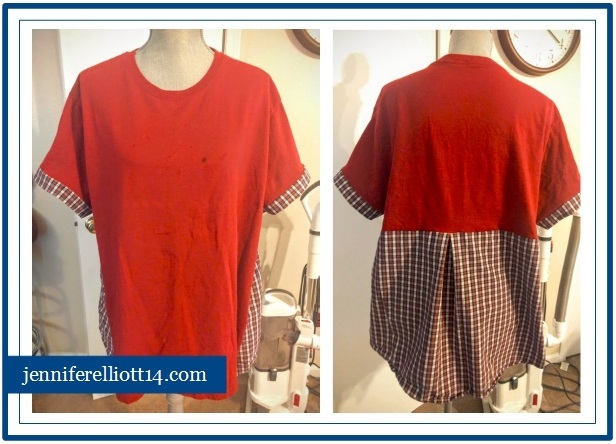 During a recent trip to my favorite consignment store, I found the perfect companion item for the red shirt! For less than $1 I scored this beautiful men’s button down shirt. The process was simple and took a few hours (NCIS distracted me). I love love love the new shirt but I think I made it a little too big. I’ll probably fix the very minor issue later down the road. 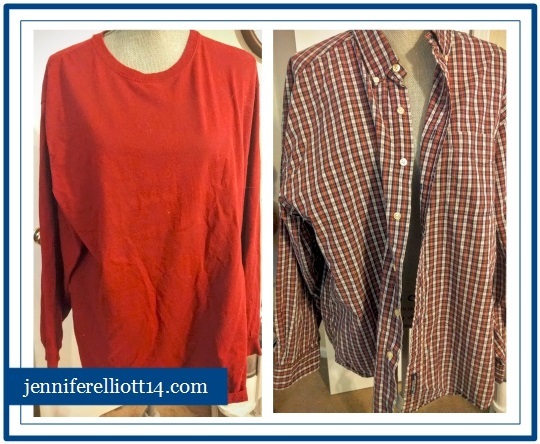 My closet is ready for another cute and casual shirt. Yay! I’m so jealous of your creativity. Jealous! I’m with Piper … I have a hard time spending $30 on a plain white casual shirt. I can’t remember the last thing I bought for full price. Always looking at the sales and clearance stuff. No shame in that! Absolutely nothing wrong with being a bargain shopper! How many hours have we spent together analyzing the clearance racks? Too many hours to count, but we found some great stuff for even better prices! I still have the grey cardigan I found for $3. Still one of my favorites. Such a cute shirt! The plaid shirt really matches the red shirt. Lovely job.